Taking the first steps to securing your lifestyle and protecting your family financially should disaster strike. What would happen to your family if you or your partner became seriously ill or injured, or weren’t able to work anymore? How would your family cope financially? Would you be able to pay off the mortgage, or rent, and maintain your family’s lifestyle? 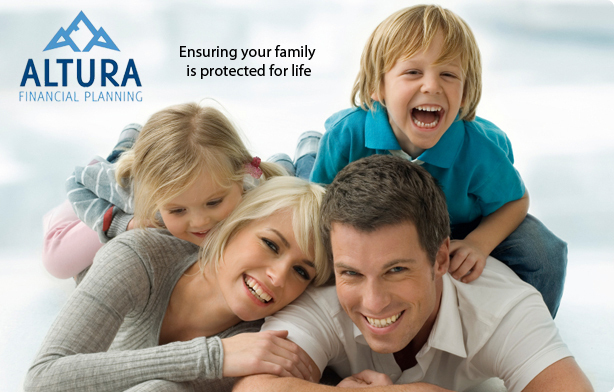 Life insurance can provide you or your family with the funds needed during critical moments in your life. It may not remove the pain of losing a job or a loved one, but it can ease the burden financially. Life Cover – also known as life insurance or death cover. This insurance pays a specific sum to the insured person’s beneficiaries after the person’s death. Total and permanent disability (TPD) cover – covers the cost of rehabilitation, debt repayments and future cost of living if you are totally and permanently disabled. Trauma Cover – provides you with a lump sum payment if you are diagnosed with a serious medical condition or illness that can have a significant impact on your finances. The main types of conditions that are covered include cancer, heart attack and stroke. Income Protection – an insurance cover that replaces your lost income if you’re unable to work due to illness or injury. There is no clear cut formula to work out a person’s insurance needs: the greater the amount of insurance, the more protection you get. The amount of life insurance is also dependent on how much you can afford and the particular needs of you, your spouse or family. One of our experienced advisers will help you determine what insurance cover is most suitable for your needs, after taking into account your existing investment assets such as cash, super, shares, property, and any existing life insurance policies. Insurance premiums tend to increase with age as you are more likely to make an insurance claim as you grow older. You are able to choose between having a stepped or level premium for life insurance, TPD, trauma cover and income protection. Stepped premiums – your insurance premium will increase each year as you get older but it is cheaper in the beginning. Level premiums – your insurance premium doesn’t change as you get older, but it is more expensive in the beginning. If you intend to hold the insurance for a long run, then level premiums are more likely to be cheaper, generally after 15 years of holding a policy. If you want to control your costs over time, then level premiums may best suit your needs as the cost doesn’t change and you can anticipate the amount to be paid in the future. Income protection policies should be reviewed every time your income changes substantially to ensure that you have the right level of cover over time. Whatever level of cover you choose, it’s important to regularly review your policies to ensure they are still meeting the needs of you and your family.